If you’re ready to move on from subpar coffee in the morning and want to start making a worthwhile delicious cup of joe, here’s some coffee gear that will help get you started. Keep in mind that these products are entry-level selections for beginners just starting out making coffee the fancy way. 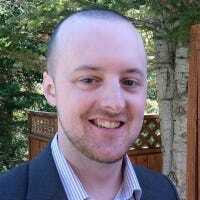 Once you get more experience and learn what you like and dislike, you can upgrade your equipment later to more premium options. Since you won’t be using a traditional coffee maker to get the water nice and hot, you’ll need to rely on a kettle to do that instead. The Cuisinart Aura is an affordable option. It can fit half a gallon of water, so whether you’re just making coffee for one or for an entire house full of people, you’ll be able to heat up all the water you need in a single run. 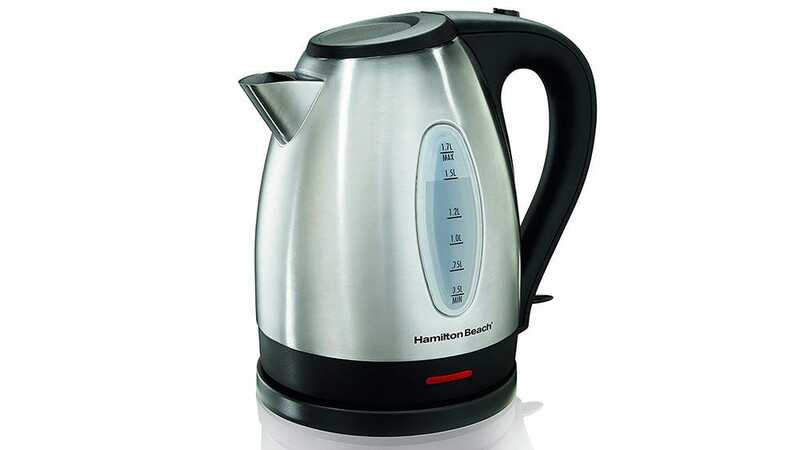 If you prefer to skip the stove top and heat up your water the electrical way, the Hamilton Beach 40880 electric kettle is a simple and affordable option that gets the job done. There are no bells and whistles on this one—just a simple on/off switch to turn on the kettle’s heating element. Then, once the water is brought to a boil, it automatically shuts off. Wait a minute or two, and you’re left with water that’s perfectly heated to the proper brewing temperature. 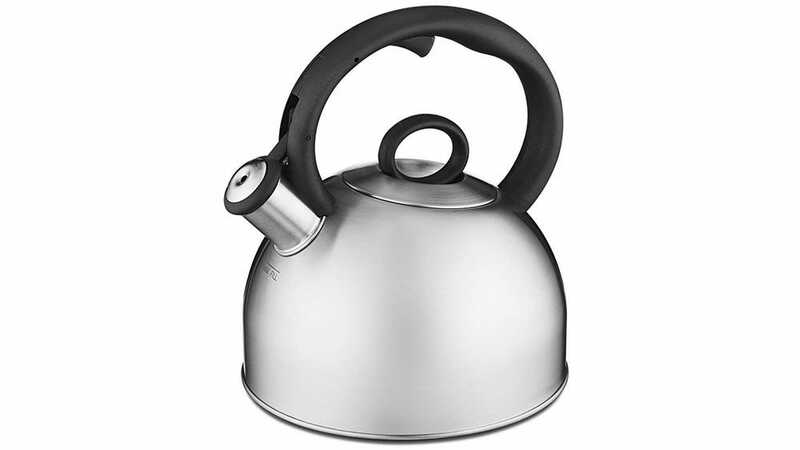 Take a look at our other guide on electric kettles for some other options to consider, including models with more bells and whistles. Once you have your water nice and hot, you need to get your coffee beans ready for brewing. You could just buy pre-ground coffee, but to get the maximum flavor out of your brew, you’ll want to buy whole bean coffee and grind it yourself. 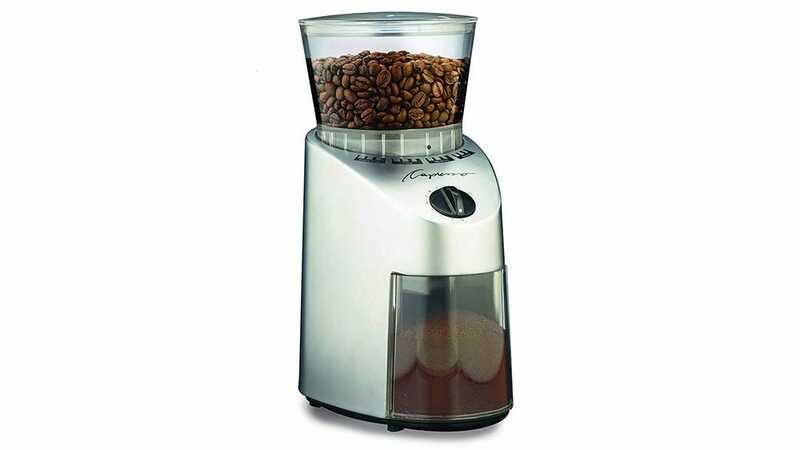 The Capresso Infinity conical burr coffee grinder is a great way to go. If you’re on a budget, it’s a bit on the pricey side, but it’s one of the best value grinders on the market. If you absolutely do not want to spend this much on a coffee grinder right now, just make sure to at least get a conical burr grinder—this is important, because most cheap grinders simply use blades (like a blender), which do a poor job at grinding coffee beans. Take a look at our other guide on budget coffee grinders for some other buying options. 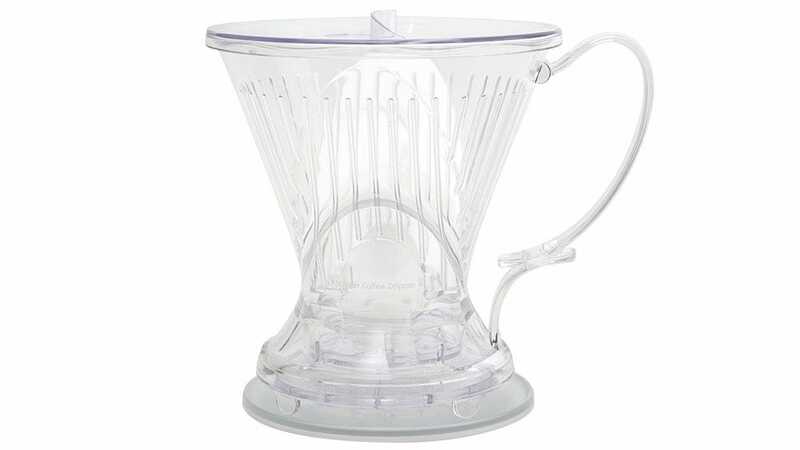 There are a lot of different ways to brew coffee, but if you’re wanting to move away from the drip maker and aren’t sure what other method to use, the Bodum Brazil french press is a cheap and easy way to brew coffee when just starting out. 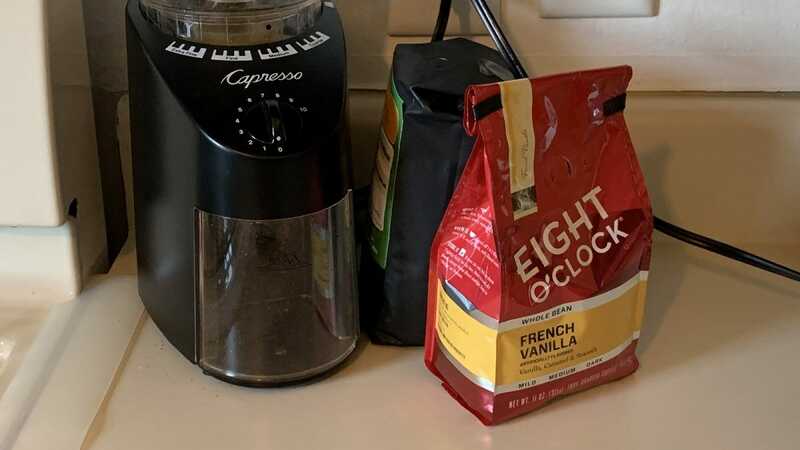 It comes in different sizes as well, including a single-serve 12-ounce size, and larger 34- and 51-ounce sizes for making a whole pot of coffee. 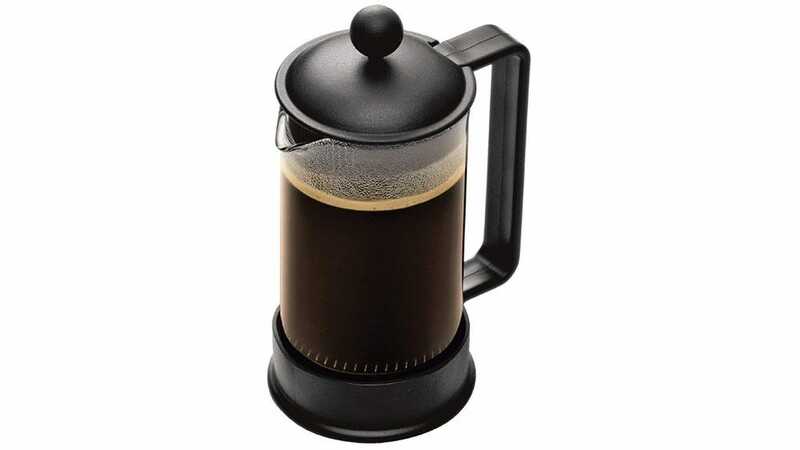 The best part is that using a french press is a fairly foolproof way to brew a delicious cup of coffee—simply dump your grounds in, add water, let it brew for a few minutes, and then push down the plunger to separate the grounds. You’re then left with great coffee that you can immediately pour into a mug or carafe. If you prefer to use paper filters, but still want a french press experience, the Clever Coffee Dripper is the way to go. One downside to a french press is that it can leave behind “sludge” or “fines” at the bottom of your cup, which is nothing more than the tiny particles of grounded coffee that makes it through the mesh metal filter in your french press. Some people like it, and some people don’t. If you’re in the “don’t” camp, the Clever is a good alternative, as you can still use the same immersion brewing principles as a french press, but you can use a traditional paper filter, which will filter out the fines. Plus, the bottom of the Clever has an open/close valve, so when you set it on top of a coffee mug, it will open the valve and let the brewed coffee pour straight into your mug, which is pretty neat.